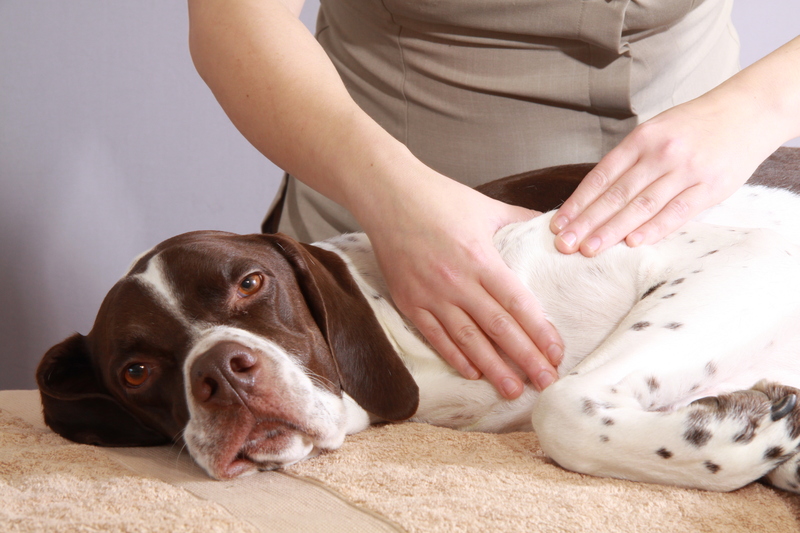 Get Massaging Your Own Dog At Home Today! The only Canine Massage DVD on the market to give you a full body Canine Massage Routine that you follow on screen with your dog! Get it right first time, everytime! 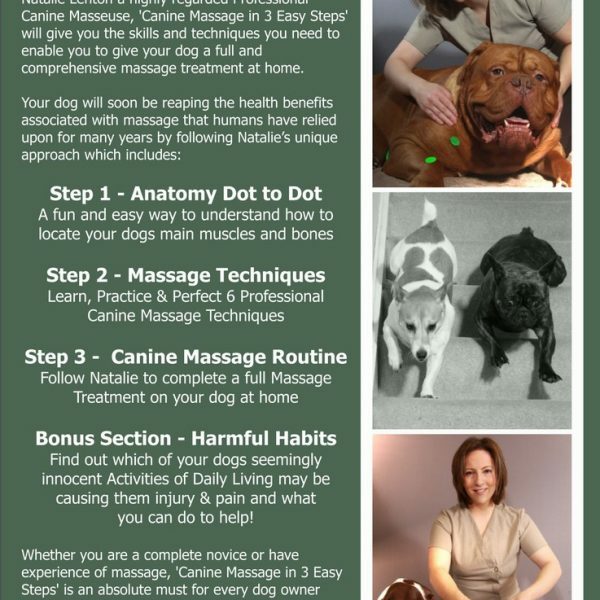 Within 1 hour you will be able to give your dog a thorough full body massage at home so they can reap the benefits of massage that humans have known about for years. The routine in this DVD is suitable for all ages and breeds; from ageing and senior dogs, to those coping with Orthopaedic issues like Arthritis or Hip Dysplasia and is also beneficial for younger, active or agility/sporting dogs too! 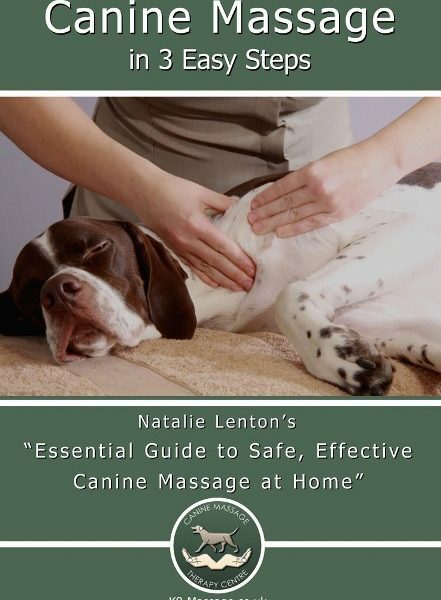 Developed specifically for the owner at home, by Natalie Lenton, a highly regarded Professional Canine Masseuse and Director of Canine Massage Therapy Centre, `Canine Massage in 3 Easy Steps` the DVD, will give you the skills and techniques you need to enable you to give your dog a full and comprehensive massage treatment at home right away. As the only dog massage DVD on the market to give the viewer a full canine massage routine that they can follow with their own dog from start to finish, the routine was personally choreographed by Natalie to ensure that every dog benefits every time. With your dog by your side you’re going to learn more about what’s underneath your dogs skin in the fun and easy Anatomy Dot To Dot Step. Find out what a bony landmark is and how to locate one before progressing to join the dots and locate your dogs main muscle groups as well as finding out what they do. A great introduction to helping you understand more about your dogs Muscular and Skeletal Anatomy in a fun way! Natalie tutors you in 6 Massage Techniques to ensure you are confident in how to apply them correctly, explains the common mistakes people often make and how you can avoid making them. Did you know when massaging a dog you actually go against the coat on certain parts of the body? 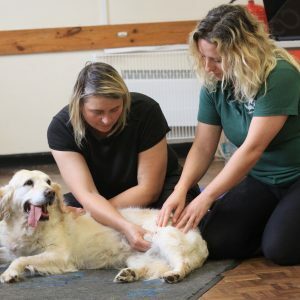 Natalie explains why and how you can work with your dogs physiology rather than against it to enable you to give them a more beneficial massage as you practice and perfect the 6 massage techniques with your dog. 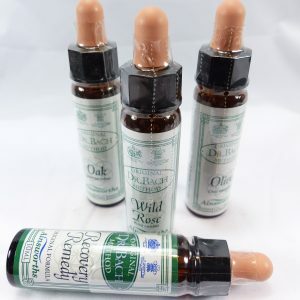 Its time to put everything you have learned to together and follow the on screen routine to be able to give your dog a thorough and complete full body massage at home. 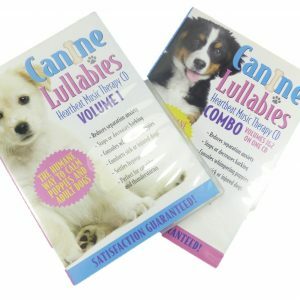 So whether you are trying to help relieve your dogs sore, aching muscles, reduce stiffness in the back, neck or legs, or ensure they remain active for as long as possible this professionally choreographed routine will deliver the right balance of techniques in a sequence specifically designed to help your dogs comfort and mobility levels. 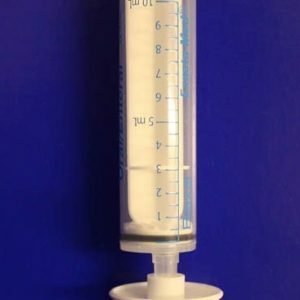 Combine the advice in the Bonus Section with the routine you learn in Step 3 to really make a difference to your dogs longevity and comfort levels! 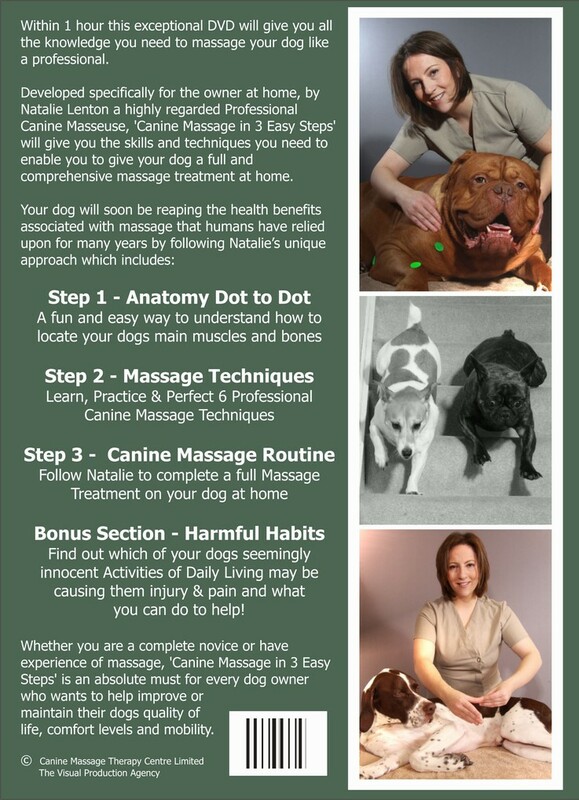 Canine Massage in 3 Easy Steps – Teaching you so you can help them…Buy Your Copy Today! Please note this DVD, as clearly stated on the cover and in the disclaimer ,is for home use only with your own dog. It does not teach you to treat other peoples dogs as this is illegal and may only be done by qualified Practitioners who gain Veterinary Consent and comply with the UK Veterinary Act 1966 and the Exemptions order 1962. Enjoy massaging your own dog at home. If in any doubt, check with your vet before massage begins.